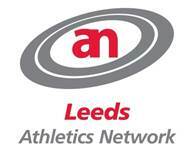 The Leeds Athletics Network provided a set of Coach and Athlete Workshops during 2012. We may provide some more in Spring / early Summer 2015. · athletes who want to improve their own performance. We also provide First Aid courses for running club athletes and volunteers, particularly useful for coaches and race marshals. Carnegie Sports Physiotherapy Clinic provided Drills workshops and Injury Prevention workshops.